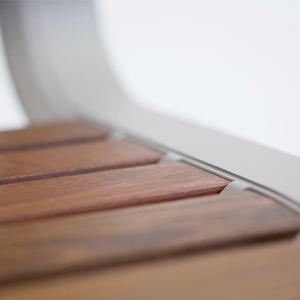 Forms+Surfaces is pleased to announce several updates to the Tangent Rail Seating line. Already a product with incredible design versatility, our most recent developments take Tangent in exciting new directions. First, joining the straight configuration, we’re thrilled to introduce our new articulating configuration, an option that gives designers unprecedented flexibility to shape seating solutions around angled paths, irregular curves, and imperfect site conditions. Unlike traditional curved rails, which typically adhere to a set radius, Tangent’s new articulating rail can adapt to a maximum inward angle of 20° and a maximum outward angle of 45°. 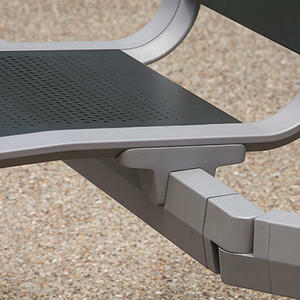 The articulating connections allow seating units to zig or zag, curve gracefully, or follow the straight and narrow. Best of all, the articulating connections allow units to be adjusted on site—ideal for those inevitable instances that don’t go according to plan. The articulating configuration is available in four standard configurations, as well as virtually limitless custom variations. 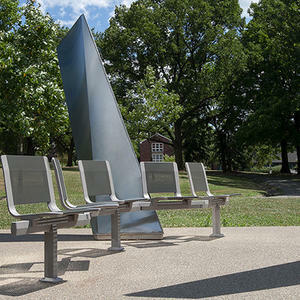 Expanding the seating solutions, Tangent is also now available with backless seats, in the same material and finish options available for backed seats: FSC 100% Ipé, powdercoated extruded aluminum, and stainless steel seat pans in a variety of finishes and with or without perforation patterns. 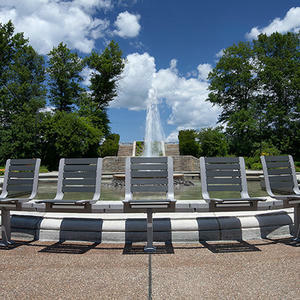 Backed and backless seat styles can be mixed or matched across a project. Another new option is the “A” leg, which can be used for freestanding or surface mount on Tangent’s straight configurations with two or more seats. A truly versatile solution for high-traffic public settings, Tangent is ideal for corporate campuses, malls, healthcare facilities, colleges and universities, transportation hubs, and more. 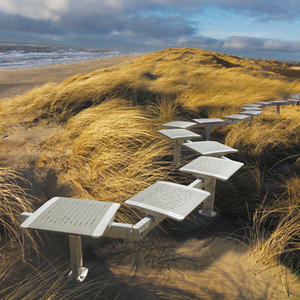 Tangent Rail is the most flexible seating solution to your project needs. 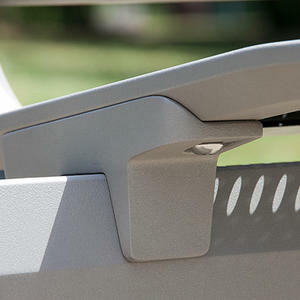 To learn more, visit our Tangent Rail Seating page or contact us.